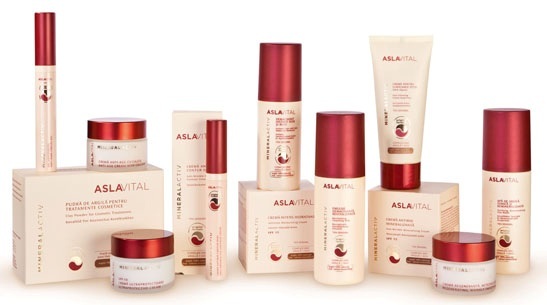 Goji Berry, one the most powerful anti-age nutrient in the world has been incorporated to the formula of the new Aslavital Mieralactiv line, launched by Farmec SA on 1st of April, replacing the classic Aslavital Line. Products of the range are hypoallergenic, parabens and colorants free and address both young (age 25+) and mature (age 45+) complexions. This new line has 12 products ideal for sensitive complexions.